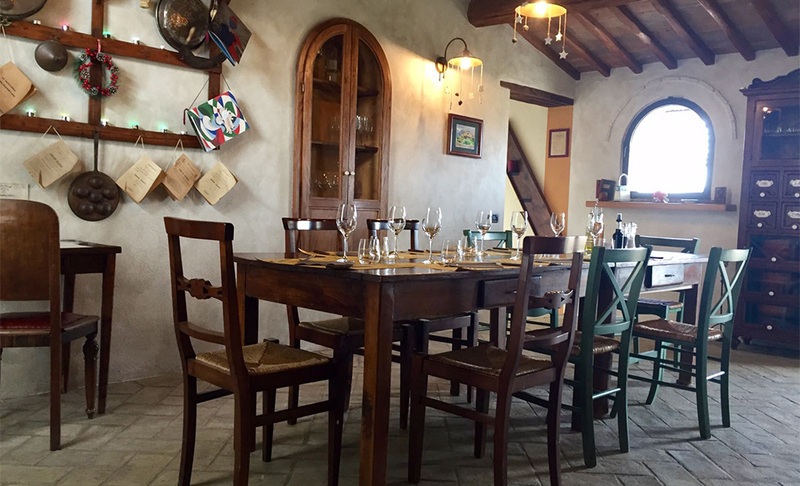 Dishes are prepared in the kitchen using traditional recipes and genuine ingredients that evoke country life as it was. 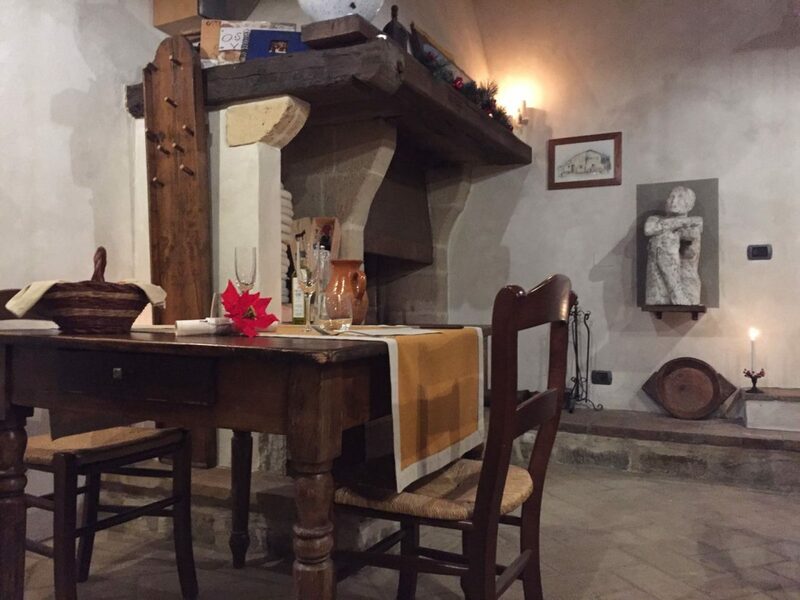 The restaurant, in what was once the pigsty has been furnished according to farmhouse tradition and a fireplace added. The original bread baking oven has remained intact and is now used to bake pizzas. 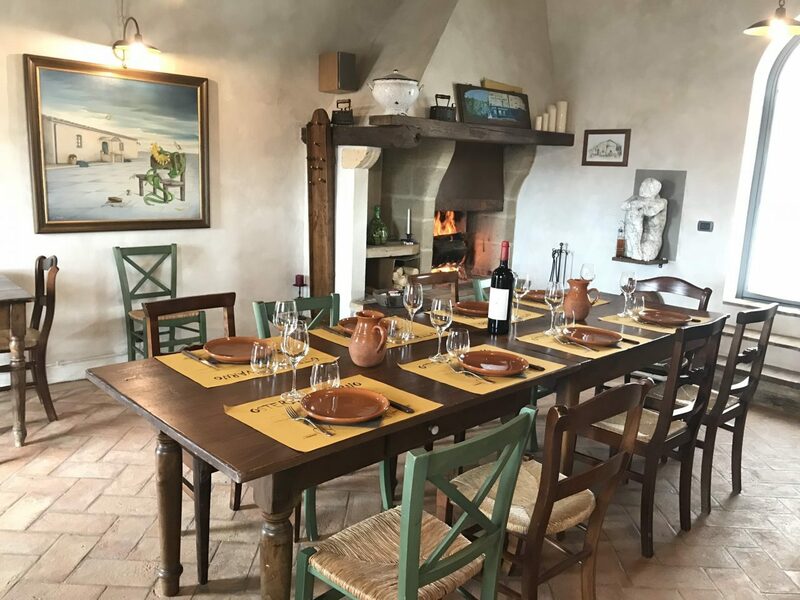 During the winter, the fireplace, always alight, invites guests to spend the evening chatting before it, sipping wine between one course and another. In the warmer seasons, one eats on the restaurant’s terrace looking out at the sunset, over views that are difficult to describe in words.